As an author, I’m faced daily with the challenge of reaching out to quality readers. But, like many authors, especially in the early days of my book marketing, I found myself marketing to authors and not readers. This is fine if your book is for authors. If it isn’t, then I hope this discussion will help you understand the difference and give you ideas on how to refocus your marketing plan. Every author needs a support system of other authors—people you can go to for advice about the business of writing (marketing, publishing, etc.) or the craft of writing (editing, POV, characterization, etc.). But many authors confuse the fine line of networking with authors with marketing to authors. When you network with other authors, your mindset is about sharing information, learning from each other, and lifting each other up through cross-promotion, advice, critiquing, or whatever it is you are seeking from your peers. Nothing frustrates me more as an author than when I join an author community and it is full of link dumping. I feel like authors are marketing to me. While I don’t mind some marketing, I prefer a community that is focused on networking with and not marketing to authors. What is linking dumping? It’s the practice of dropping a link into a group, forum, or even on your own Facebook / G+ page with no explanation of what the link contains. If you did this in an email, your message would be marked as spam. We’ve been trained when it comes to email that we shouldn’t click on links that are in a message by themselves with no explanation. Why? Because it’s a common technique for trying to steal someone’s information or propagate a virus. Yet, when it comes to social media, as authors, we’re using this same technique, hoping that we can draw readers to our website or our books. We don’t realize we look like a spammer. How can we correct link dumping? First, if you are doing it yourself, please stop. It’s okay to post links, but tell your group or fans why you are posting this link. What is contained in that page that is worthy of my time? Why should I go there? Is it an inspirational post that will encourage me today? Is it news about your new release? Is it helpful tips on how to write a better story? Is it a picture of ugly cats? What is it?!?!?! Have you ever thought about who you are marketing to? Are you networking with authors or marketing to them? Read more to learn about the difference and how you can change your ways. See. Now you’re interested, because I’ve told you what this blog post is about. What not to do? Don’t say, “Here’s my blog post for today.” That’s not any better than saying nothing. Hook your readers. Ok, the next way to correct link dumping is to kindly ask those who are doing it in your group to please let the group know why they feel the link is worthy of sharing. What about the post inspired them to rush out and share it with their friends? Simple questions and kind wording can hit the point home without upsetting them. Go ahead and look at your Facebook and Twitter followers for a few minutes. How many of them are authors? What about the “readers” groups you’re in? Are they full of authors and only have one or two readers? If so, congratulations! You’ve found a ton of author friends to network with (and not market to). But, Karen, how can I find readers then? Where are they? Readers love eBook discovery services, like ChristianEbooksToday.com. Did you know that ChristianEbooksToday.com’s reader following (not authors) is over 80 – 85%? In general, eBook discovery services are dedicated to seeking out new readers. They market to readers, use tactics to draw readers in, and they have a bigger base of readers than the typical author, because they offer readers a wide variety of what readers want—books. Readers follow book bloggers. Book bloggers focus on providing reviews and giveaways that appeal to readers. There are tons of book bloggers out there. Get them to review your book. Send them free copies. And don’t be stingy here. If the blogger wants a Kindle copy, pay the retail price of your book and send them a gift copy through Amazon. It’s a better user experience for the blogger. In the end, you still get a royalty on the book and the rest is an advertising expense. It’s the cost of doing business. Readers are in book clubs online and in real life. One of the coolest ways I’ve ever connected with readers was when an out-of-state friend of mine got her book club to read one of my novels. When they finished it, they ask me to video chat with them and answer their questions about that novel and my other novels. They were all extremely excited to talk to a real author and many expressed an interest in reading my other novels. If nothing else, they will remember me because they met me, virtually of course. Readers like to keep track of authors they like. One of the best things you can do to connect with readers is to include a link to your website in the back of your books (both eBook and print). Make sure your website has a link to all of your social media accounts and to your newsletter. Give readers a way to follow you once they discovered they like you. Readers see and respond to paid web ads. Yes, I just said paid. A well-designed ad strategically placed can really draw readers to your website. Or link it straight to your product page on a specific retailer. If you have a book that appeals to women ages 25-40, try placing an ad on a Christian mommy blog. Think about what types of readers you want to attract, where you can find them, and invest a little in your book. Readers do respond to reading related twitter hash tags. Both genre specific hash tags like #christian #romance, and more general hash tags like #amreading or #mustread or #ebookalert get the reader’s attention. Also try device specific hash tags like #kindle, #kindlefire, #nook, #kobo, #ipad. Just make sure your links take the reader to the appropriate retailer for that hash tag (i.e. iPad takes them to iTunes, Kindle takes them to Amazon). It takes time to build up a reader following. Most of the time it takes years of dedicated interaction with readers where they live. The above are ways to help speed up that process. But, if you want to build up a reader base on Facebook / G+ / your website, you have to keep things reader centric. Stop marketing to authors. Start networking with them and start connecting with readers. Best-selling self-published author, Karen Baney, enjoys sharing information to help authors learn about the Business of Writing. She holds a Masters of Business Administration from Arizona State University and has worked in various business related career fields for the past 20 years. 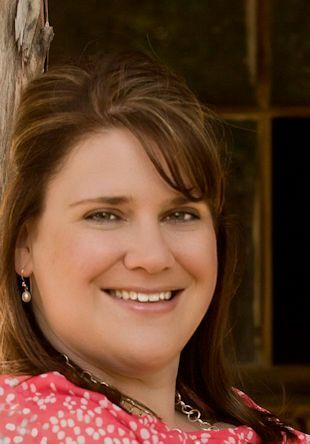 She writes Christian Historical Fiction and Contemporary Romance novels. To learn more about her novels visit her website: karenbaney.com. Authors can find tips and information on self-publishing and marketing at: www.myauthorservices.com. Karen and her husband, Jim, also run several online businesses. They make their home in Gilbert, AZ, with their two dogs. 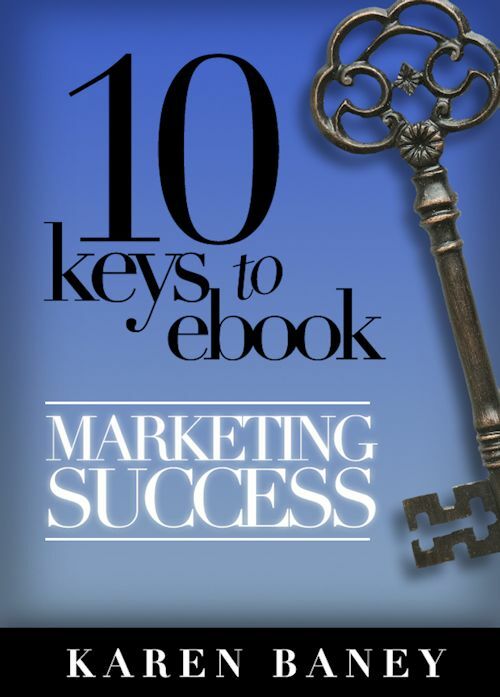 Her latest book, 10 Keys to eBook Marketing Success, is now available on Amazon. I agree Karen! Well said! Thanks Grace and Faith for hosting me today. Good post. It is a conundrum trying to find readers vs. authors, but I think you hit on a key point when you said sometimes you have to pay to reach them. It’s about learning right? I figured it out last May that I was marketing to authors. Not a good plan and oh yea, dumping those links everywhere. I’m changing habits, takes more work but I think in the end it will be worth it. What great advice. I’d never really considered that there should be a difference between “author” friends and reader “friends.” Thanks for very specific advice. This post is a keeper! Brilliant article. Some very good tips about reaching readers. I do think though, that other writers are a powerful group of potential readers. Afterall all writers, by definition, are readers. They have to be. I know that at times I’ve bought books of fellow writers who have connected with me – especially those who give back to the writing community in a big way. Finding that balance between network and market has been a challenge for me. Thank you for sharing your insight! I will share with others in my same boat so hopefully we can all get in a better boat. Thank you all so much for commenting. I figured this would get the conversation started. One of the quick ways I found to help gain readers is to follow readers on Twitter. Find an author in your genre and see who is following them. Then start to follow readers. Make sure your twitter profile is in order, so if they are interested, they can learn more about you. Hello Karen, Thanks again for your helpful advice.